We "CATA PRINTS" develop and design websites, build strong SEO appearance, professional email services and more! We have a team of web developers and designers with a passion for the web market and incessant learning, which is brittle to stay on top of an environment that undergoes perpetual change. 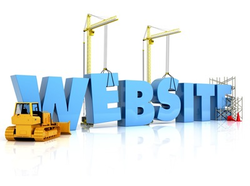 We consider your website as your online office. A good professional looking business website can play an integral part in boosting the image of your business and help you beat the competition. - Static and dynamic websites both has an attractive presence in search engine optimization through internet. Designing a web site is a complex task, so you need to hire a company which can easily maintain your designs and strive for your higher growth. - Our web design services cover comprehensive, targeted requirements for your business. Our priority, as a leading web design company for the India, US, UK, Australian and Canadian organizations is to assist our clients’ growth by giving their online presence a quantitative and qualitative boost. For a business to grow globally, online presence plays an integral part and it helps in boosting up the image of the business and thus helps it grow. Thus websites are very important for creating an identity and improve the branding of the company. We at openwebs.in, handle all the issues of the website an come up with solutions no matter what the problems and where is.